Rambling Through Parenthood : Time For A Blog Overhaul? 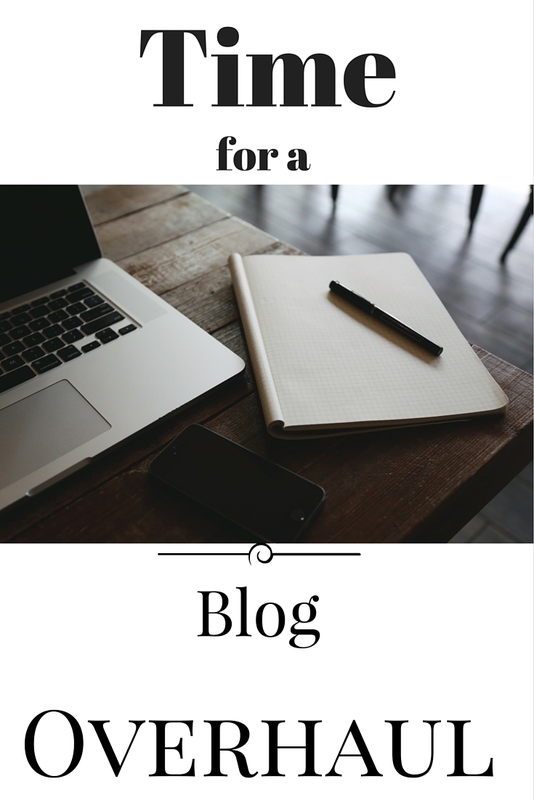 Time For A Blog Overhaul? I have been on a bit of a blogging sabbatical these last couple of weeks for reasons beyond my control. I was away on a family holiday to Amsterdam to begin with. I returned home to a broken boiler, a dead car battery and a shower that refuses to dispense hot water. What with trying to call gas engineers and sort out hot water, I was in no frame of mind to blog. Hence the enforced sabbatical. I wasn't just away from my blog, I was also away from my laptop these last couple of weeks. My only contact with the online world was via my iPhone. And that too just to update my Instagram feed and browse Facebook for a bit. There was no blogging, no commenting, no threads to do, no deadlines to meet and no pressure to do anything but keep calm and try to get the boiler repaired. That hasn't happened, but the time off has brought about a blogging epiphany. It had me thinking about the reason I blog and what direction it should take. I have come to the conclusion that perhaps a blog overhaul is in order. 1) Devote at least a couple of hours each day to writing. Try and wrap up a blogpost in half an hour to 45 minutes, leaving the remaining time for creative writing. 2) Make a habit of writing every day. Writing is like exercise, the more you do it, the better you get. 3) Stop procrastinating. Write as soon as an idea pops into my head. The more I dwell on it, the more cumbersome it feels to write it down. It's best to just get going and see how things shape up. 4) Indulge in some free-writing. Random thoughts and unstructured ideas that could perhaps lead to something more substantial. 5) Read a book at bedtime. It is so much better than browsing irrelevant things on the internet. 6) Share the blog love through comments and social media, but don't let that take centre stage. The writing has to be my number one priority. 7) Write short, simple sentences. Keep the tone conversational. It is a blogpost, not a novel. This is going to be especially difficult, as it means a drastic change to the way I write. 8) Make an effort to improve my photography. The recent photos on my Instagram should provide the necessary inspiration to better that skill. I want blogging to be enjoyable and stress-free. It should not feel like a chore or something that I am forcing myself to do. These are changes I meant to work on for a while now, but lacked the impetus. A couple of weeks away from the blog have given me the motivation to make the changes happen. Have you ever considered a blog overhaul? How did you go about it? I'm forever fidgeting with the layout, header, etc. But this one is more to do with content. I want to focus on what got me started in the first place - writing. I've never considered a blog overhaul as I wouldn't want to force my writing and then see it as a chore. Good luck with your blogging goals though. I want to tweak my writing style to stop it being a chore :) I do tend to ramble loads in my posts (the blog name perhaps says it all!) and want to reign it in a bit. A break does help put things in perspective, I think. I am considering it now and hoping to take some time out. Blogging in April has felt more like a chore than a hobby that I enjoy. Sounds familiar, Anosa. I write best when I am emotionally charged and feel strongly about something, so want to do more of that. I know how you feel, I write roughly 130 comments a day and that is beginning to feel like a chore. But I am worried my stats will go down if I stop it! My stats aren't great tbh, and I still feel as if I am spending far too much time on things other than actually writing. I can't imagine getting through 130 comments a day! That is super organised! I wish I could get round to actually writing a bunch of posts and scheduling them in advance. I think once you get the idea of a blog overhaul, you get itchy fingers until it's all done. You're remarkably disciplined to get a blog post done in under 45 minutes (or to aim to). I waste a couple of hours on each one. Nightmare! Me too, Grant. I don't want to anymore, hence the target time. I really need to work quicker and smarter. I'm terrible I keep changing my layout as I get bored of it. I always think of great posts I'm in bed or the shower & the next day I've totally forgot! I must take more notes! That sounds far too familiar :) I am just too lazy to even make notes. Something to work on, I guess.